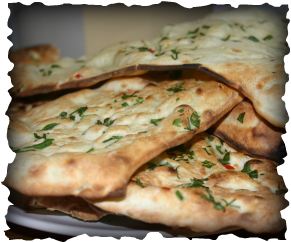 Rice and leavened breads like naan and chappati are common sights all over India. Before modern food practices were developed, these foods were made of whole grain foods such as brown rice and stone-ground atta (whole wheat). But since the 1900s, most of what has been eaten is refined, such as white rice and finely-ground grains like maida (refined wheat). Switching to brown rice within an Indian diet is probably the best one thing you could do for your health. 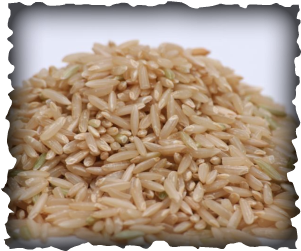 In addition to being a whole grain (which has the fiber-rich bran and nutrient-rich germ parts of the wheat, missing in refined grains), brown rice can help you from developing diabetes. A large study showed that eating white rice regularly makes your more likely to develop diabetes, while brown rice makes you less likely (Sun 2010 Archives of Internal Medicine). The abundant amounts of fiber in whole grains (like most plants) help prevent coronary heart disease and improve cholesterol levels (Lichtenstein 2006 Circulation). Also, eating whole grains daily helps people control their weight better than refined foods like white rice as they grow older (Koh-Banerjee 2004 American Journal of Clinical Nutrition). Thus, the traditional Indian ways of eating grains -- that is, eating brown rice and breads made from whole grains -- keeps your well-being intact and away from the deadly grasp of diabetes, heart disease and obesity.